Do Solar Contractors Cover Damages to a Roof During Installation? One thing’s for sure, a lot of people are catching solar fever. Experts predict that residential installations will multiply exponentially from 16.0 GW in 2016 to 121.2 GW in 2025. That’s great news for the environment, but potentially bad news for your roof—especially if your solar installer is something of a PV newbie. An inexperienced contractor could potentially leave you vulnerable to leaks, roof damages, or even fires. Yikes! But that doesn’t mean you should swear off solar, because most contractors have the wherewithal to get the job done right. However, you will need to make yourself aware of your installer’s experience and work history, and the kind of coverage their company provides. Some solar companies offer their customers the royal treatment and guarantee their installers’ performance, while others might leave you holding the bag for costly damages. 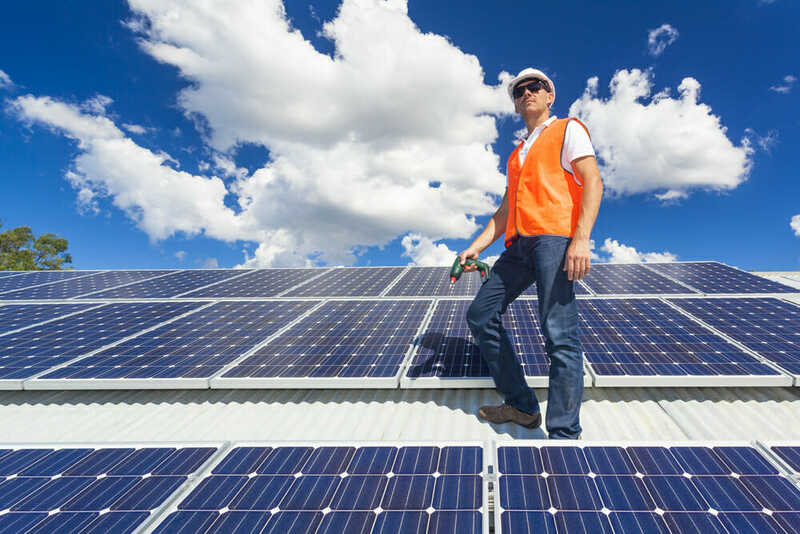 Read on to find out more about damages from solar installations, your liability, and what you need to know about your solar contractor. What Can Go Wrong with a Solar Installation? Your Homeowner’s Insurance: A Safety Net for Faulty Installations? Solar installers are energy professionals, not roofers. And while the vast majority of them know their stuff, there’s a small possibility of problems down the line. The installer will typically penetrate your roof to attach the panel racking system to your home’s interior structure. And while installers are careful to plug openings with specialized sealants, any time you allow punctures in your roof, you open yourself up to leaks and other damage. That being said, most solar installers will tell you that they’ve hardly ever seen a leak on their watch. That’s because the majority use best practices, like installing flashing equipped with an underpan to direct leaks away from your home’s interior. Of course, not every installer can be trusted to do a thorough job. Therefore, it’s worth quizzing your contractor about their leak prevention methods before they get up on your shingles. Another issue frequently occurs with roofs clad in terra cotta or slate tiles. Because the installers must walk on top of the tiles to put up the panels, there’s a possibility that a few may become cracked or damaged during the installation. A good installer should offer to fix them for you on the spot—but they can only do it if you have a few spares on hand to use as replacements. Very rarely, panel installation can lead to collapsed roofs or even fires. While your standard solar array weighs less than 50 pounds, some roofs—particularly those on homes built before the 1970s—may have trouble withstanding this load. Your installer should perform a roofing inspection before they get started to avoid problems like this. Additionally, there are building professionals who feel that PV could use a bit more testing before it can officially be declared safe and fire-resistant. Fires from solar installations are extremely rare, but they can happen—especially if your installer uses what’s known as a ballasted installation, where the mounting system is attached to concrete blocks, rather than directly to your roof’s decking. Occasionally, these installations have plastic components that can increase the risk of fires. Ask your installer for information about the methodology and materials they’ll be using—before you do any work. Most solar sellers offer manufacturer’s warranties that protect you from faulty equipment. But some also offer guarantees for the installation as well. 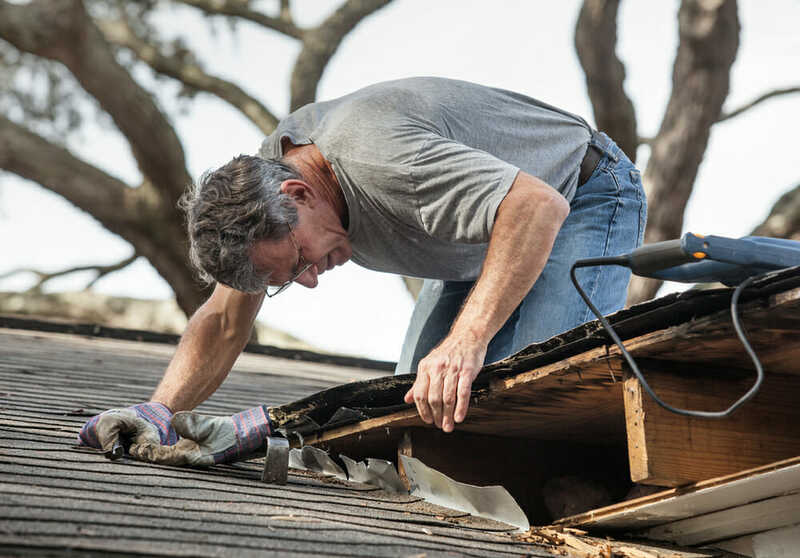 That means, depending on who you buy from, you may be covered by the installer in the event of roofing damages. However, there’s really no requirement for them to do so, so you’ll want to read up on what’s included before you sign any contracts. Additionally, some solar installers even coordinate with roofing companies to get surfaces in tip-top shape before the panels go up. At the very least, your company should perform a roofing inspection by a knowledgeable professional before they begin cutting into your roof. However, a more reliable way to cover any damages may be to go through your homeowner’s insurance. According to the National Renewable Energy Laboratory, some insurance policies may cover damages incurred from solar installations. However, you may need to increase your coverage first—and make sure your installation is included, since some insurers have different policies around ground-mounted arrays than they do for rooftop installations. In fact, talking to your insurer is a good idea, even if your solar installer provides comprehensive coverage. Solar panels stand as a huge investment, so you want to make sure your provider has your back in the event of an accident, or “peril,” as it’s known in the insurance community. Bolstering your insurance plan can protect you in the event of damage from wind, hail, lightning, or fires. That way you know you’re covered—from your installation forward into a new era for home energy!